You are here: Home » MEDIA » TV » Project Blue Book (UFO TV series). Project Blue Book (UFO TV series). Here’s the new Project Blue Book drama which brings us some sub-X-files action as Project Blue Book is painted as a conspiracy to hide a truth which the U.S. Government is all too-aware of. 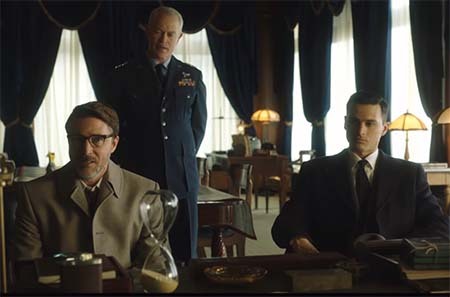 This TV series from the History Channel (hmmm, not really history), stars Aidan Gillen (Littlefinger from “Game of Thrones”) and Michael Malarkey (from “The Vampire Diaries”) as the two main investigators. Project Blue Book (episode 10, season 1: trailer). « Fantastic Beasts The Crimes of Grindelwald (movie trailer).